This August Bank Holiday (24–26 August 2018), Camper Calling returns for a third year as the perfect way to see out your summer. Set in the spectacular grounds of Ragley Hall in Warwickshire, Camper Calling boasts headline performances from the voice of the Spice Girls, Melanie C, indie rockers Feeder, and the Wirral’s very own The Coral, and is thrilled to announce the full lineup for the three-day extravaganza. The three superbly curated stages will be home to a wildly diverse number of acts, satisfying just about every music craving from rock to funk and soul via pop, ska and garage, with no decade from the hit parade and beyond left untouched. Away from the music, there are tonnes of fantastic activities to ramp up the excitement, including bierkeller fun, water sports on the lake and a Mexican fiesta. Whatever you’re into, and however long you can keep going, Camper Calling promises an enchanting weekend of entertainment for all the family! The brain-child of the team behind Camper Jam at Weston Park, the music and entertainment extravaganza has quickly established itself as the Midlands’s finest family friendly, boutique music festival featuring some of the very best loved bands and emerging new music. 2018 looks set to the festival’s biggest year yet, and the full lineup of acts features big names, vintage favourites and the chance to hear acts who may be totally new to you, across all genres. Friday night at Camper Calling sees Melanie C headlining, performing her impressive back catalogue of solo hits and a few surprises. We also kick off the weekend with pop trio Scouting for Girls, celebrating their 10th anniversary, legendary entertainer, DJ and music aficionado Craig Charles will be bringing his Funk & Soul club to the festival, plus there’ll be disco classics as you’ve never seen them before from the outrageous Uncle Funk and the Boogie Wonderland. Hang onto your glitterballs. 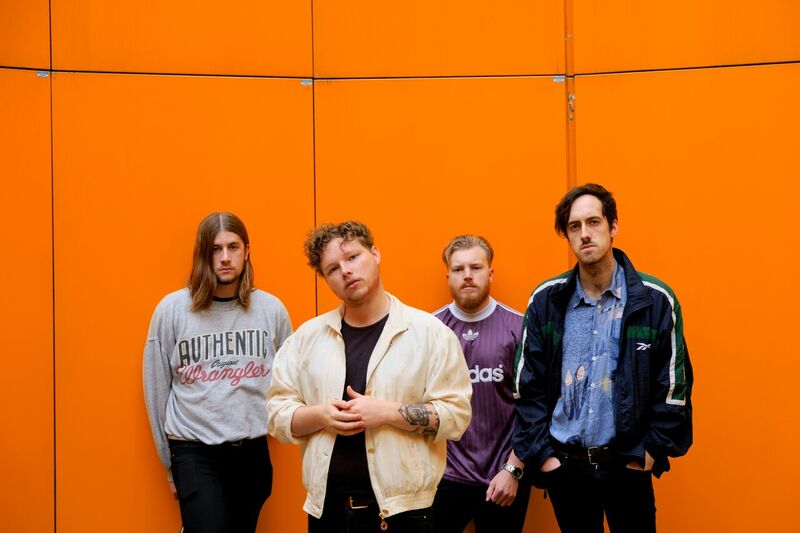 British soul pop artist Zach Said will the taking revellers on an upbeat musical journey, and foot-stomping folk band Noble Jacks will be kicking up dust and causing a ruckus. Saturday night is speak Camper Calling with Feeder set to blow everyone away and rock the joint with a spectacular show of old favourites and timeless hits plus new music with their revitalised rock sound. The Jam fans can hear all the iconic hits performed by original member Bruce Foxton and From The Jam, who’ve been touring nonstop for a decade; Neville Staple – the original rudeboy from the ska movement’s golden age – and his band will be performing a selection of hits from The Specials and their own material; and we can re-rewind to the halcyon days of UK garage as the crowd prepares to say “Go Selecta!” Once again to Artful Dodger, making a triumphant return to Camper Calling. Also living for the weekend on Saturday at Camper Calling: gypsy folk rockers Holy Moly & The Crackers; powerful symphonic rockers Flight Brigade; arty rockers Jordan Allen; gifted singer-songwriter Kiddo; and soulful songbird Conrad. Sunday means au revoir to Camper Calling but what a long, satisfying kiss goodbye it will be. The festival will close with Merseysiders The Coral, celebrating over two decades in the music business and performing hits old and new. The South may have lost a few members and the word “beautiful” from their Beautiful South days, but the band’s hits are still sounding as gorgeous as ever as they carry on regardless, and The Showhawk Duo will be blurring the lines between acoustic and electronic with their skilful reimagining of classic dance hits… on two guitars only! Nineties DJs and floorfillers Phats & Small will be taking us back with their dance anthems; the Futureheads’ frontman Barry Hyde performs an acoustic set; Wild Front treat us to their distinctive guitar-pop; Manchester indiepop band The Lottery Winners will be taking a very lucky dip; former buskers The Tailormade will be mixing up their clever covers and innovative mashups with new material; and indie rockers with a pop twist The RPMs will be getting Camper Calling into a spin as the sun sets on summer’s official leaving party. In addition to the main stage line up, the festival will include a host of other entertainment. The organisers of Camper Calling have pulled out all the stops to ensure that the August bank holiday weekend is filled with a host of family friendly activities. From creative craft workshops to campfire tales, a funfair, lake activities and children’s circus show there is something for everyone! A great selection of specially selected street food stalls and pop up bars will service the festival alongside a craft ale and cider tent. The event is set in the opulent grounds of the Ragley Hall estate within 400 acres of parkland, woodland and gardens of Ragley Hall. Surrounded by 27 acres of delightful ever-changing gardens, the parkland contains the Children’s Adventure Playground, Woodland Walk, and Lakeside Picnic Area. And you don’t need to be a camper van owner or enthusiast to enjoy the festival. Camper Calling has a relaxed atmosphere where we simply show you to your chosen area and you choose from the available space where you’d like to camp. You can camp in a tent, motorhome, caravan or campervan, Camping onsite will be available from across all 3 days, with free hot showers, a quieter family zone, plus VIP and glamping options. If you come with a tent, you have the benefit of being able to camp next to your vehicle. You can also just book a day ticket if you choose. 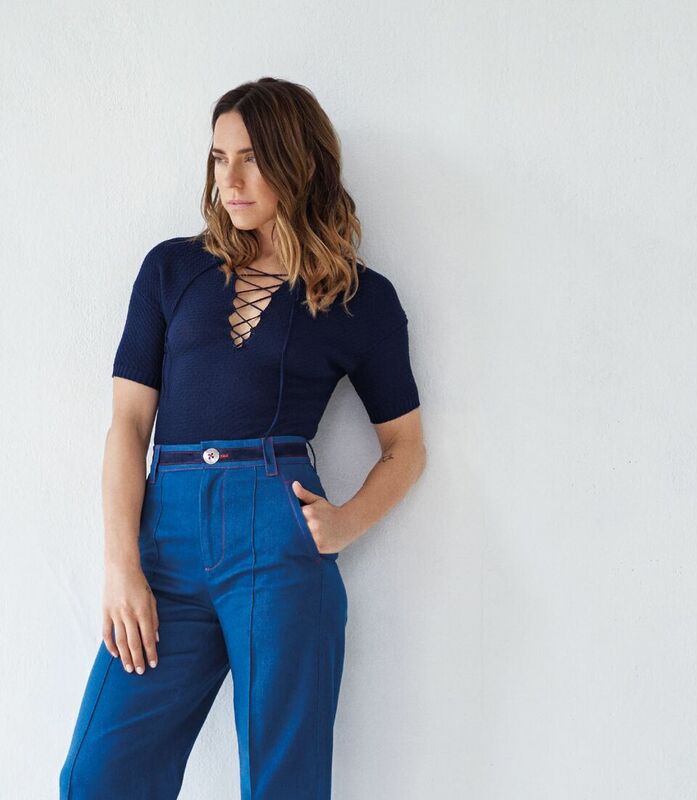 Singer-songwriter and former Spice Girl, Melanie C will treat festival goers to music from her seventh solo album, Versions of Me as well as some of her classic solo and Spice Girls hits with a Friday night headline slot. Versions of Me began with a desire to shake up her sound and be more experimental. Feeder join as headliners straight from their sell-out 2018 Best Of tour. Feeder will celebrate the band’s 21st birthday at Camper Calling, by putting together a comprehensive collection of all their greatest hits, with new songs thrown in for good measure. The release will include classics like Buck Rogers, Lost & Found, Feeling A Moment and more. 2018 also marks a 21st anniversary for psych-pop superstars The Coral who headline Sunday night. Since their debut EP release in 2001 the band have sold over a million UK albums, with five reaching the Top 10 including 2003’s chart-topping Magic and Medicine. Their eight Top 40 singles include Dreaming Of You, In The Morning, Pass It On, and Don’t Think You is The First. After a five-year hiatus The Coral returned in 2016 with their eighth studio album, Distance Inbetween, on Ignition Records to critical acclaim. The seams of each of the album’s 12-tracks are purposely rough-hewn and pave the way for a new visceral sound from a totally reenergised band. 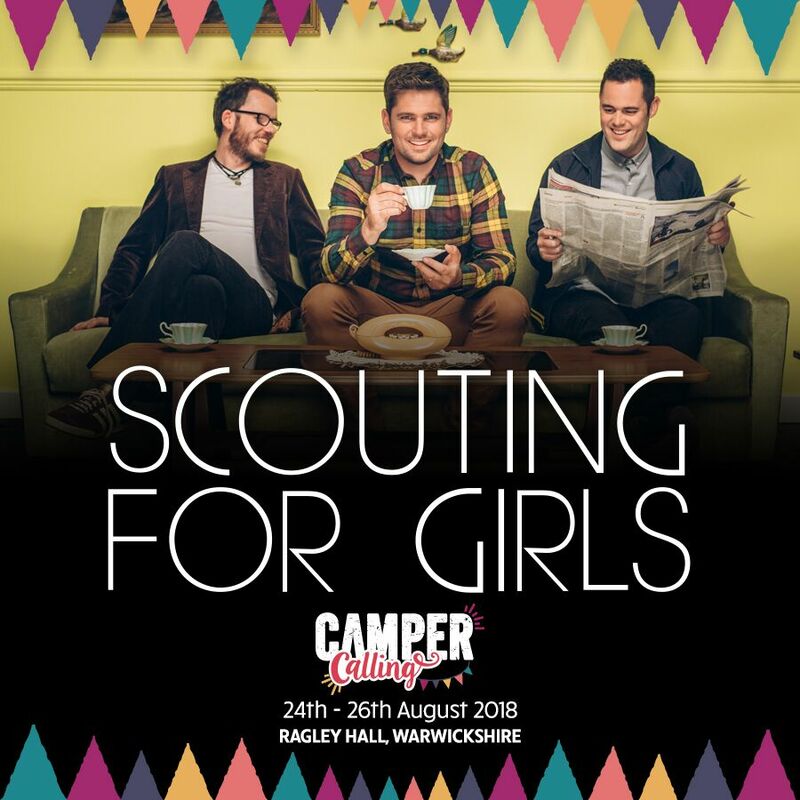 Fresh from their 10-year anniversary tour and with brand new music, Scouting For Girls join the Lakeside Stage on Friday. 2017 officially marked a decade since the release of Scouting For Girls’ unstoppable million-selling self-titled debut album and to celebrate the 10th anniversary, SFG returned with the release of an extended, deluxe version including their classic hits ‘It’s Not About You’, ‘She’s So Lovely’, ‘Elvis Ain’t Dead’, ‘Heartbeat’ and ‘I Wish I Was James Bond’. It was impossible to exist in the 70’s and not hear The Jam filtering through every radio station. With iconic hits like ‘Town Called Malice’, and ‘Going Underground’ the band enjoyed incredible success. It will come as no surprise that From The Jam, featuring original member Bruce Foxton, have been touring non stop for over 10 years, performing all the classics tracks created whilst in The Jam.From The Jam is comprised of legendary former ‘The Jam’bassist Bruce Foxton, vocalist and guitarist Russell Hastings, drummer Mike Randon and Andy Fairclough on Hammond and piano. Over the past 11 years, From The Jam has toured relentlessly, having played almost 1000 headline shows in the UK since their inception in 2007. ‘The Public Gets What The Public Wants’, Russell Hastings explained, “basically the big festival set, hit after hit.”Enthusiastic, energetic and ready to rock, they perform on Saturday night at Camper Calling. The offshoot from the popular 90s band The Beautiful South, The South also join the line-up on Sunday featuring ex-Beautiful South vocalist, Alison Wheeler. When The Beautiful South split in 2007, some members of the band didn’t feel ready to hang up their microphones or instruments. Alison tours with a number of other original members to keep the band’s fantastic back catalogue of hits alive and has been performing across the UK regularly for the last few years. Festival goers can expect a set packed full of Beautiful South hits including A Little Time (the number one single), Perfect 10, Rotterdam, Old Red Eyes Is Back, Good as Gold, Don’t Marry Her. All performed again live, these songs, and many more, span an impressive 20-year career starting way back in 1989! Come on! Let’s Carry On… Regardless! Over the course of 13 years, The Futureheads played almost every major music festival in the world and supported the likes of Oasis, Foo Fighters, Muse, Pixies and Queens of the Stone Age at major concerts in different continents. With singles such as Decent Days and Nights, Hounds of Love, and The Beginning of the Twist cemented as modern classics, they scored seven top 40 singles, three top 40 albums, and played hundreds of live shows across the globe. Frontman and creative force behind the band, Barry Hyde, now returns to the Camper Calling stage performing solo acoustic guitar shows of the anthems everyone knows and loves! Barry says: “After a four-year hiatus it is time to take these songs on the road again. I realise these songs mean a lot to people and I want to celebrate that!”. Prices below include 3 nights camping. The campsite opens at 10am Friday and closes at 12 noon on Monday.